Create a more personalized look with this glamorous strandage, which features an on-trend open-ended silhouette. 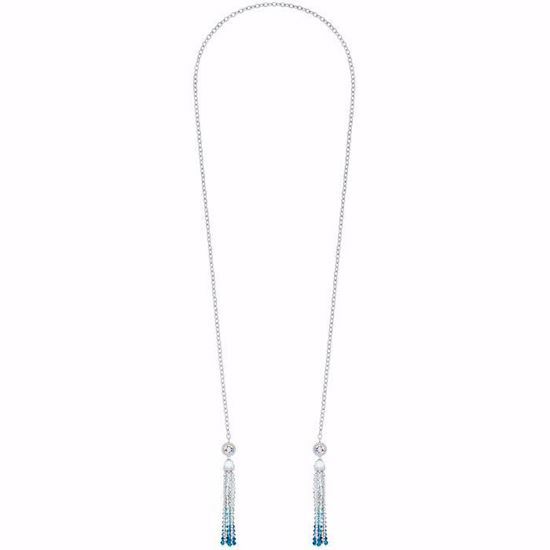 The delicate rhodium-plated chain is punctuated by two crystal-laden tassels, sparkling in a mix of cool blue tones. Enjoy this design’s styling flexibility by either draping around your neck loose and long, or wrapping it around for a different vibe. 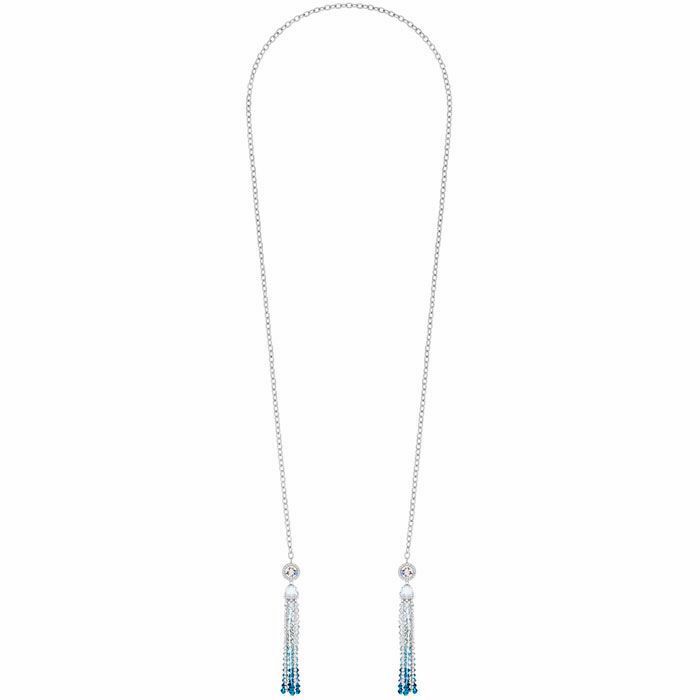 Combine with the matching earrings for statement style this summer.